The TExES Technology Education 6-12 Exam is used in the state of Texas to ensure entry-level technology education teachers are qualified to serve in this capacity. It is a computer-administered exam that includes 100 multiple-choice questions, with a time allotment of five hours. Some of the questions on the exam may not count toward your score. A passing score is 240 or greater. If you require special accommodations, this request must be made prior to the day of the exam. What is the approximate percentage of multiple-choice questions for each domain? What are the domains and competencies covered on the exam? Competency 001: Knowledge of technology’s nature and philosophy, and the interactions of technology and society. Competency 002: Knowledge of design process and how it’s used in technology. Competency 003: Knowledge of use and impact of technology, and how to maintain technology systems. Competency 004: Knowledge of how to strategize, implement, and manage technology systems. Competency 005: Knowledge of technology education philosophy, as well as implementing and managing technology education program. Competency 006: Knowledge of drafting. Competency 007: Knowledge of graphic design, photography, and image transfer & reproduction. Competency 008: Knowledge of video and audio systems. Competency 009: Knowledge of electronic communication. Competency 010: Knowledge of manufacturing systems and enterprises. Competency 011: Knowledge of principles of product development, as well as economic and marketing principles. Competency 012: Knowledge of using manufacturing tools and equipment. Competency 013: Knowledge of manufacturing materials. Competency 014: Knowledge of the processes of manufacturing, as well as quality control. Competency 015: Knowledge of construction project types (including planning, surveying, and postconstruction activities). Competency 016: Knowledge of engineering principles with regard to construction projects. Competency 017: Knowledge of how to use tools in construction. Competency 018: Knowledge of the properties of construction materials. Competency 019: Knowledge building, maintenance, and repairing skills and techniques. Competency 020: Knowledge of energy and power, with regard to scientific concepts. Competency 021: Knowledge of energy consumption and conservation. Competency 022: Knowledge of concepts such as thermal, electrical, fluid and mechanical power systems. Competency 023: Knowledge of electronics. Competency 024: Knowledge of vehicles and vehicular subsystems. Competency 025: Knowledge of business, industry, and society, and how they relate to biotechnology. Competency 026: Knowledge of principles of bio-related technologies. Competency 027: Knowledge of computer technology principles. Competency 028: Knowledge of how to use computer technology. When you register online, you will be required to input your first and last name, birthday, and TEA ID number. You will also be allowed to select the site at which you’d like to take the exam. The site name and address will be printed on your admission ticket. Once registration is complete, be sure to print your admission ticket. You will need to take this with you on the day of the exam. You also have the option of registering over the phone. If you utilize this option, available test dates will be given to you. 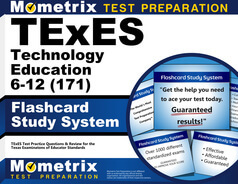 The cost of TExES Technology Education 6-12 Exam is $131. TExES Technology Education 6-12 Exam is offered year-round, at various sites in Texas. Bring a valid photo ID and admission ticket. You are prohibited from bringing personal items such as a cell phone, books, and study papers. You will have access to your exam results within a week of the date you took it. You must wait at least 45 days from the day you took the test to attempt it again. You are allowed up to 5 attempts at the exam. If you do not pass by the 5th time, you must consult with the State Board for Educator Certification to inquire about a waiver of this limitation. Treat yourself to the study materials you’ll need to pass this exam with flying colors. 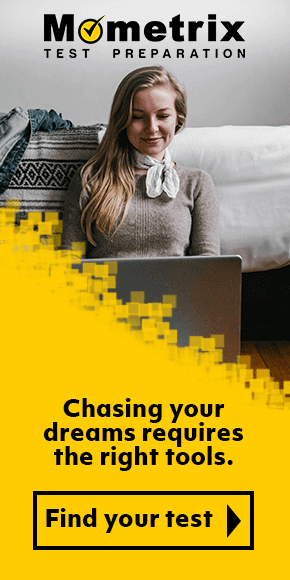 Visit our site and get our study guide that additionally includes free step-by-step video tutorials, practice test questions, and tips to overcome test anxiety. Be sure to also get a set of flash cards for this exam, to give you that extra boost of confidence. Mometrix Academy is a completely free resource provided by Mometrix Test Preparation. 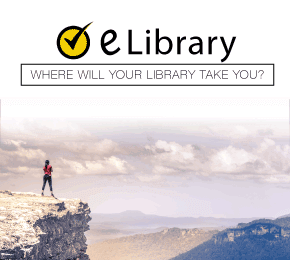 If you find benefit from our efforts here, check out our premium quality TExES Technology Education 6-12 study guide to take your studying to the next level. 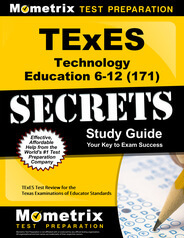 Just click the TExES Technology Education 6-12 study guide link below. Your purchase also helps us make even more great, free content for test-takers.